Adventure Time (originally titled “Adventure Time with Finn & Jake”) is an American animated television series created by Pendleton Ward for Cartoon Network. 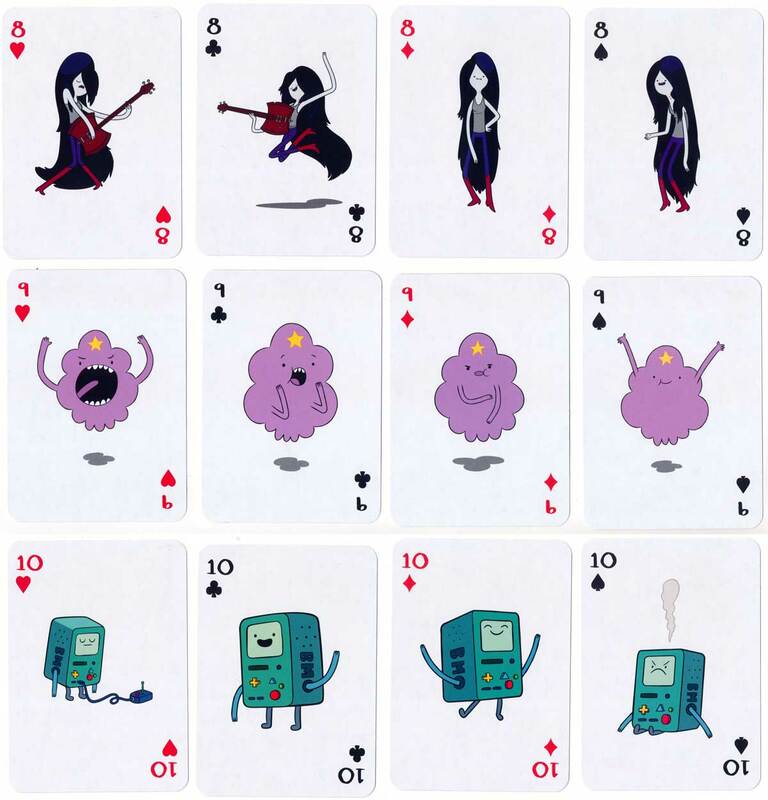 Your favourite characters include Ice King, Finn & Jake the Dog, Marceline the Vampire, Lumpy Space Princess, Beemo, etc. Twelve-year-old Finn battles evil in the Land of Ooo. 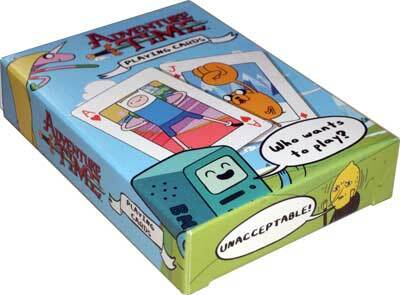 Assisted by his magical dog, Jake, Finn roams the Land of Ooo righting wrongs and battling evil. Usually evil comes in the form of the Ice King, who is in search of a wife. He’s decided he should wed Princess Bubblegum, though she doesn’t want to marry him. Still, he persists in trying to steal her away, and Finn and Jake, along with Lady Raincorn (a cross between a unicorn and a rainbow) do their best to keep her from harm. 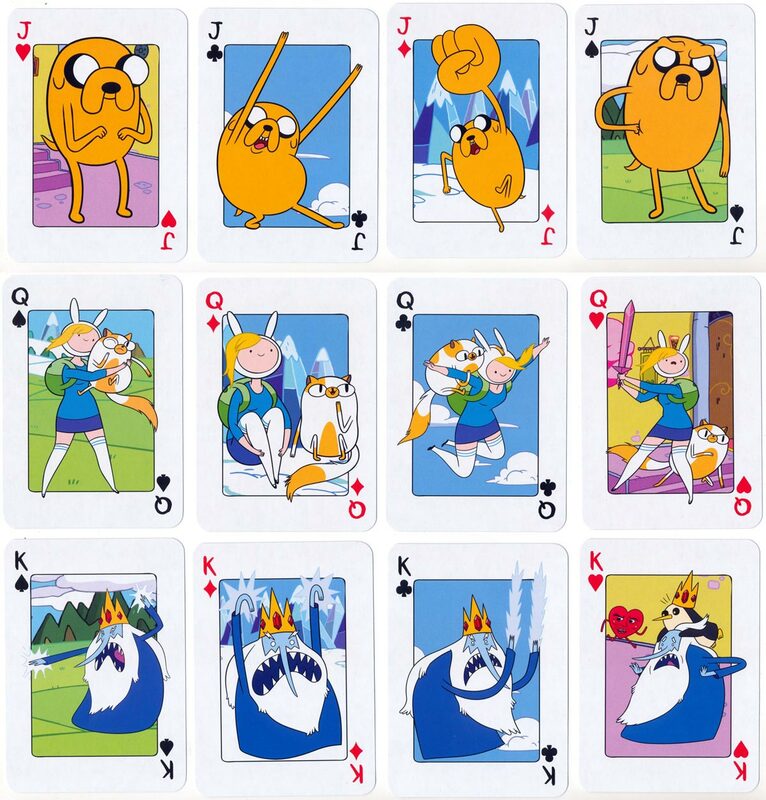 Above: ‘Adventure Time’ cult sci-fi playing cards with unique artwork on every card published exclusively by Forbidden Planet. 52 cards + 2 jokers in box. Images courtesy Matt Probert.